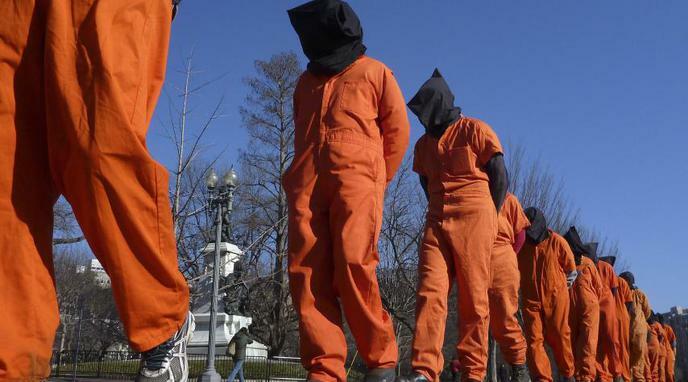 Torture, conceptually, could act as an excellent deterrent; knowing torture is acceptable is likely to make individuals reconsider actions that leave them vulnerable to it. Not only that, but torture ought to be introduced to the prison system as a matter of course. After all, prison is for punishment, so the worse the experience is for the criminal, the bigger deterrent it is. War should continue to be a brutal endeavour, making us loathe to ever engage in it again. Because of that, some level of harsh treatment of prisoners--without permanent damage--is at times necessary to collect information, as each combatant has different thresholds of discomfort and pain. If torture were legal, it would discourage people from 'surrendering' out of fear of being tortured. taking his own life rather than be captured by ISIS. This is hardly a desirable outcome. While it's certainly true, this can backfire. In many cases the person committing the crime is pretty sure of having a good plan and/or escape route; they may even think the higher risk means a higher motivation. Also, taking a bigger risk can even boost the criminal's ego (upon success) or earn them higher respect (even when they eventually fail). reciprocity - a nation that uses torture risks their citizens being subjected to the same treatment in other countries. People caught up in sweeping rendition/torture programs (like the USA's program) would barely have interacted with terrorists, or would have no connection to any terrorist activity at all. In many cases, agents of such programs claim the wrong target. The concept of deterrence, in this case, only stands if one assumes that every prisoner is a terrorist to begin with; evidence supports the contrary. Torture is often viewed as horrible and evil. The enemies of the ones who use torture could maybe be more motivated to oppose or attack the nation that is torturing.